Written by the award-winning Paul Sirett, with set and costume design by Harriet Barsby and Jenny Tiramani (Winner, Best Costume Design - Tony Awards 2014) the show offers a fresh and exciting new take on the timeless classic. After arriving in Stratenford, Hingerland for the very first time, Belle soon realises that things aren’t quite what she expected and when her father goes missing, she’ll need all the help she can get as she races to find him in an enchanted palace. Will a chance encounter save the day? 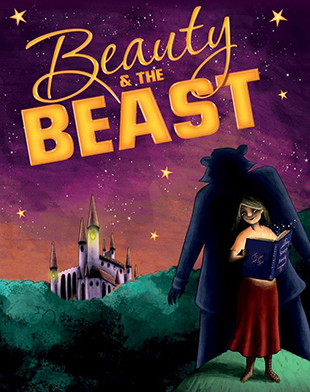 With a sumptuous set that takes its inspiration from pop-up books and a bold new score delivered by the critically-acclaimed music duo Wayne Nunes and Perry Melius Beauty & The Beast places audiences at the heart of the story and is set to deliver the perfect Christmas treat. The show will be directed by Dawn Reid, Deputy Artistic Director of Theatre Royal Stratford East. Theatre Royal Stratford East’s much loved Panto veteran Michael Bertenshaw is back as Dame Aunty Giselle. He is joined by Helen Aluko as the show’s heroine, Belle, with Vlach Ashton taking on the formidable role of Beast. Laurence Aldridge will play the role of Mr Hardboiled, Allyson Ava-Brown as Prunella, Ralph Bogard as Mr Choakum, Amelia Cavallo as Peter Pan, Jorell Coiffic-Kamall as Baby Bear, Antonia Kemi Coker as Witchy and Minal Patel as Belle’s Dad, Marcel.